iRobot Roomba® 966 seamlessly navigates an entire level of your home, keeping track of its location and recharging as needed until the job is done. The AeroForce® 3-Stage Cleaning System provides up to 5x the air power with the Gen 2 motor for lower maintenance and improved cleaning performance, * and with the iRobot HOME App you can clean and schedule on the go. 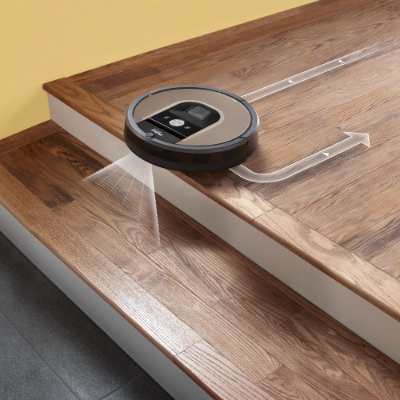 The iRobot Roomba® 966 Vacuum cleaning Robot helps keep floors cleaner throughout the entire home with intelligent visual navigation, iRobot HOME App control with wireless connectivity, and 5x the air power over the previous generation Roomba vacuuming robots. 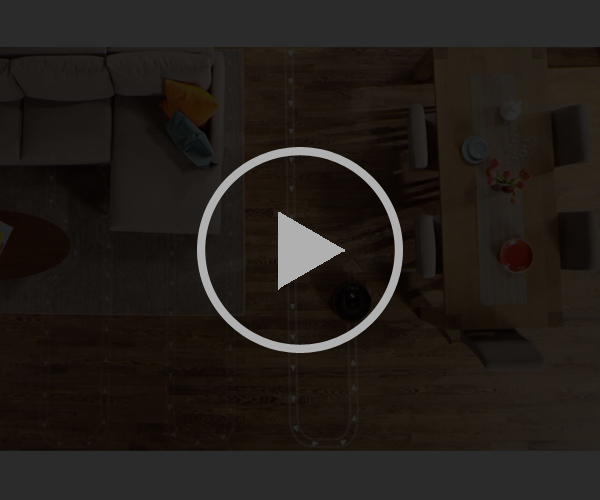 Cleans an entire level of your home: iAdapt® 2.0 Navigation with Visual Localization helps Roomba 966 to seamlessly and efficiently navigate an entire level of your home and keep track of its location. Seamless and efficient navigation for multiple rooms: Uses a high-efficiency cleaning pattern and a full suite of sensors to adapt to real-world clutter and furniture for thorough coverage. Cleans under sofa and chairs: Low-profile design allows Roomba® to clean under most furniture and kickboards, so dirt has no place to hide. Won’t fall down stairs: Cliff-detection sensors allow Roomba® to avoid stairs and other dangerous drop-offs. Connect to clean from anywhere: The iRobot HOME App lets you clean and schedules conveniently – anytime, anywhere. Handles hair with ease: Brushless extractors prevent the tangles and jams of hair and other debris, making it even easier for Roomba® to tackle daily dirt build-up. Cleans on a schedule: Roomba can be pre-set to vacuum up to seven times per week, meaning your home can stay clean every day. Lets you know when the bin is full: Roomba® has an indicator to let you know when the bin is getting full and needs to be emptied. You can also view the bin level and status through the iRobot HOME App. Cleans all floor types: Roomba® automatically adjusts to clean carpets, tile, hardwood, and laminate floors as it moves through your home. 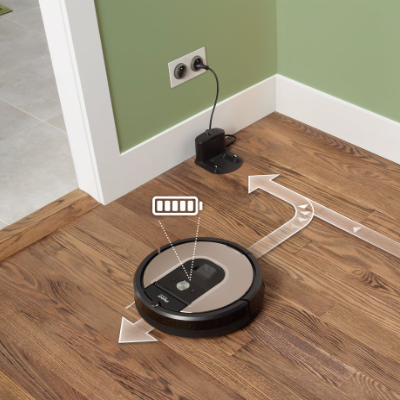 Automatically docks and recharges: Roomba® is always ready to clean because it automatically returns to its Home Base® between cleaning to recharge. Revolutionary cleaning technology: Dual counter-rotating extractors incorporate a durable rubber tread design that grabs dirt from any floor type while reducing hair tangles and brush maintenance. Up to 5x the air power*: Aeroforce Cleaning System loosens, lifts, and suctions dirt with up to 5x more power. Captures 99% of allergens, pollen, and particles: Traps particles as small as 10 microns with the AeroForce® High-Efficiency Filter. I am very happy with this purchase because this cleans every bit of my rooms. It leaves no dirt at the back. Looks super cool as well. I bought Roomba 966 from this website and they sent me my product in Gujraat in 4 days. I am pleased with the quick shipping and delivery services from iRobot. This product works effectively and connects with the iRobot mobile app for schedule cleaning. I bought Roomba 966 about 3 weeks ago and now I am enjoying spotless and clean floors regularly. I am extremely satisfied with it's performance and I think this is THE best decision ever taken by me. I strongly recommend 900 series of Roomba robots! This robotic vacuum cleaner sets about to clean pretty much everything in its way and it looks pretty futuristic while doing it.